With light snow falling, Charlotte heads out to sea on Friday morning, the day after Thanksgiving. When the days turn short and the air turns cold, sailors’ thoughts turn to winter cruising in warmer climes. On the day after Thanksgiving, Nat Benjamin and a four-man crew of Islanders cast off the stern lines of the gaff-rigged schooner Charlotte and set sail for the Caribbean. But this will be more than a cruising adventure; it will be an adventure in cultural exchange. The Charlotte’s port-of-call is Ile-a-Vache (Cow Island), a small island off the south coast of Haiti. Known as Isla Vaca for two centuries after the Spanish first claimed it as part of Hispaniola, Ile-a-Vache served as the headquarters of the notorious 17th-century pirate captain Henry Morgan. Today, the quiet 20-square-mile island is home to about 15,000 people. Its largest village is Kai Kok (also known as Port Morgan). Mr. Benjamin’s interest in Ile-a-Vache was piqued by reading a cruising guide for Haiti written by Frank Virgintino, a seasoned Caribbean cruising hand. In an area boasting some of the most beautiful tropical scenery in the whole Caribbean, the spot Virgintino loves best is Ile-a-Vache. Nat and Pam Benjamin know their way well around the Caribbean islands, and they always aim to get off the beaten path of well-known anchorages replete with amenities for yachters and tourists. Their great pleasure is in forming friendships with people who live very differently from us in the United States, finding ways to share what they have with their new friends and drawing inspiration from them and their culture. They decided to make Ile-a-Vache the Charlotte’s Caribbean base for the winter, and to make connections with the community there. The Charlotte would become a means to transport to Ile-a-Vache many things needed by the local people — in particular, the fishermen and the children in an orphanage on the island. The Charlotte has more space inside than is immediately apparent. Mr. Benjamin describes her as “burdensome” — with a substantial beam of 14 feet to a length of 50 feet. 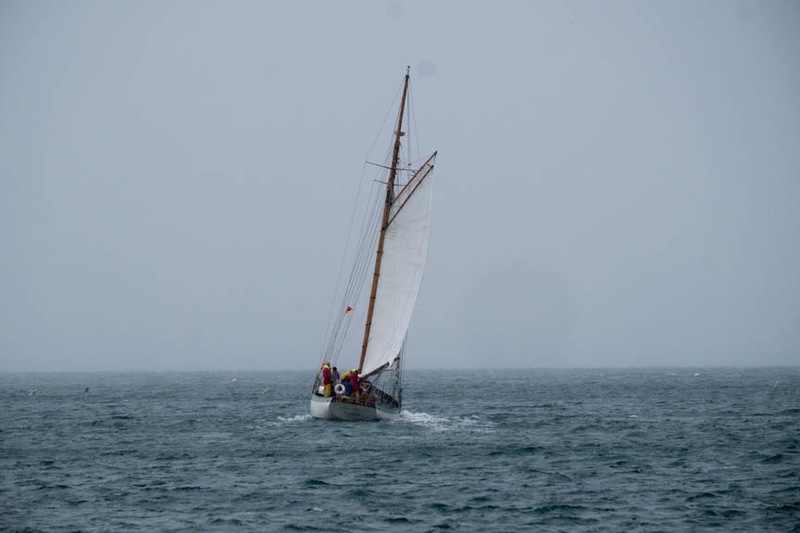 By Sunday, the pert little schooner with the sea-green bulwark was pretty well packed to the gills. The sail collection was stowed in the roomy quarter berths in the aft of the vessel. Tools and hardware had claimed space in the bilge. The forward cabin is the orphanage area. A leeboard had to be installed to keep the berth’s bulging contents from rolling out: rectangular canvas cases of donated clean clothes that had been carefully folded and vacuum-packed by Angela Park, Gannon and Benjamin’s office manager; a carton of 100 cloth diapers; five-pound bags of soy flour and powdered organic milk; tote bags of shoes and sports gear; a carton of brand-new, colorful flip flops. And art materials: finger paints, crayons, brushes, half gallons of acrylic paints, reams of craft paper, rollers and sponges for printmaking. 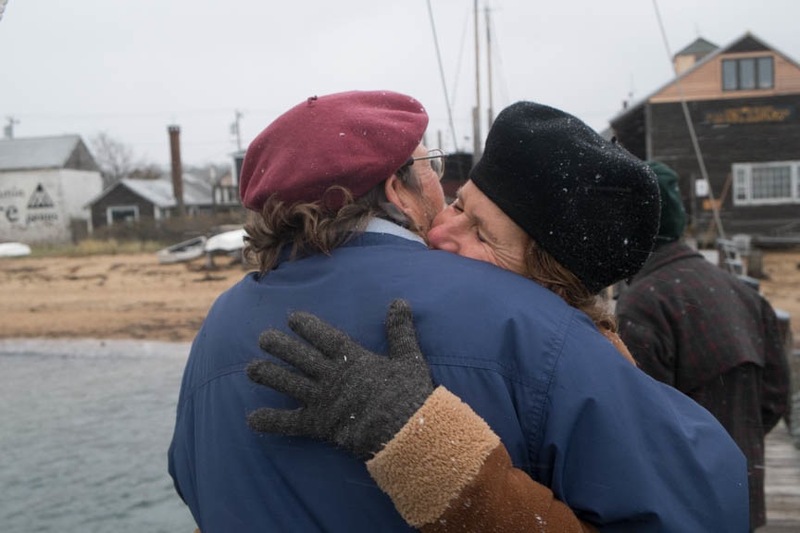 Fishing gear donated by the Martha’s Vineyard Striped Bass and Bluefish Derby and a carton of new T-shirts donated by Sail Martha’s Vineyard had found a nook or a cranny on the vessel. Donations for Sister Flora’s Orphanage can be sent to Pam Benjamin, P.O. Box 1558, Vineyard Haven, MA 02568. Please make checks payable to Sense of Wonder Creations/Haiti Fund. Sense of Wonder Creations is a 501c(3) and donations are tax deductible. All money goes directly to the orphanage. Bon Voyage! 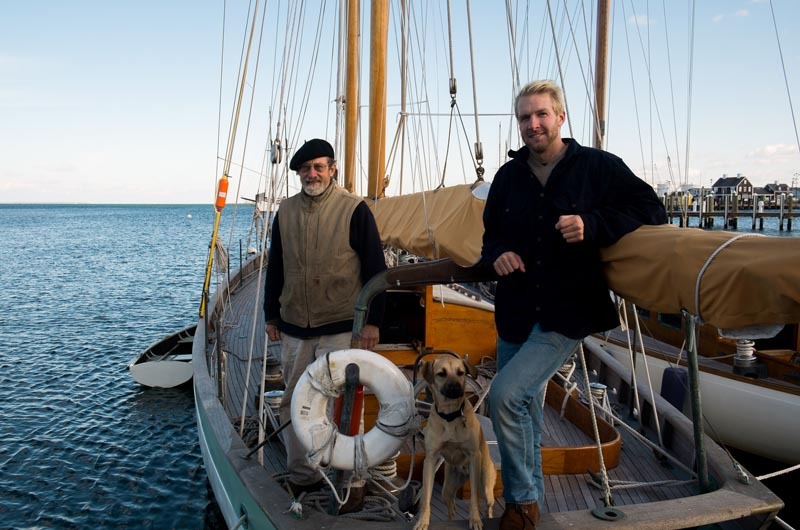 We are also cruising and helping hurricane Odile victims in the Sea of Cortez aboard our ketch Cadenza. We hope to see you again on the Vineyard in May. Will try and donate to Pam as the arts are so needed as well as food etc. ; am a native islander and brother and grandparents buried here; so glad I read your post! It takes an island - and a schooner crew. Wonderful example of Thanksgiving. The pictures harken to Roald Amundson leaving on Fram for his journey south.